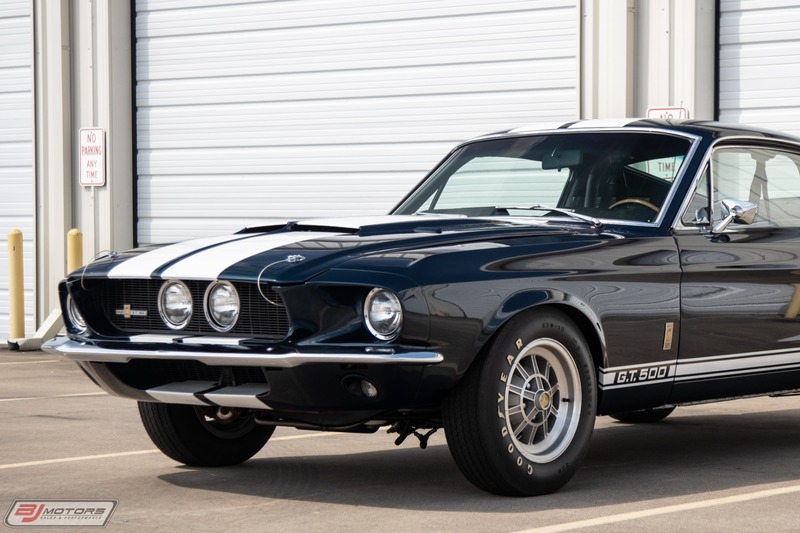 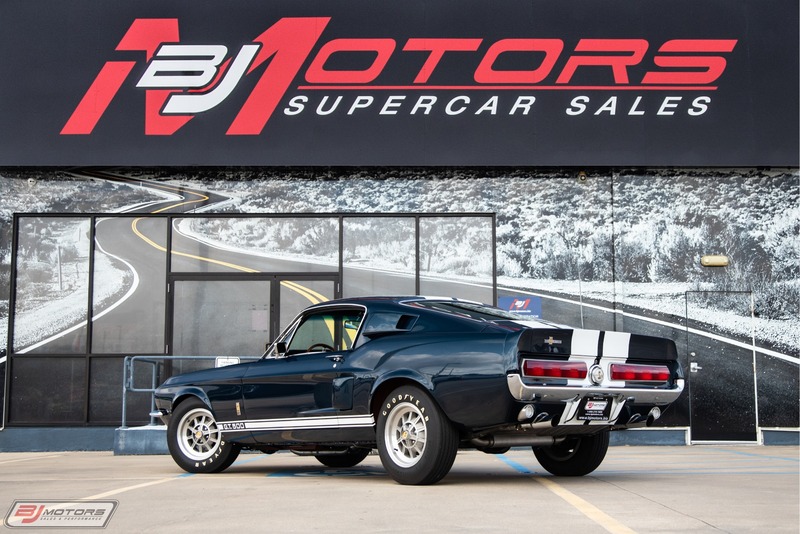 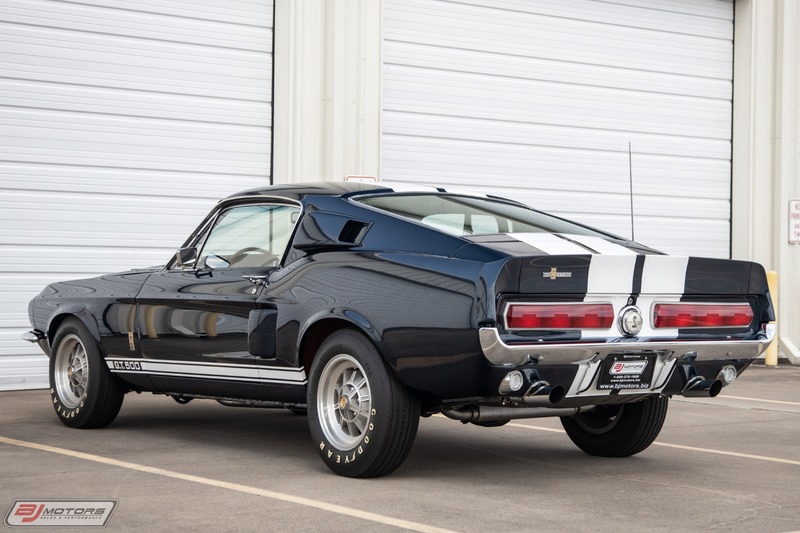 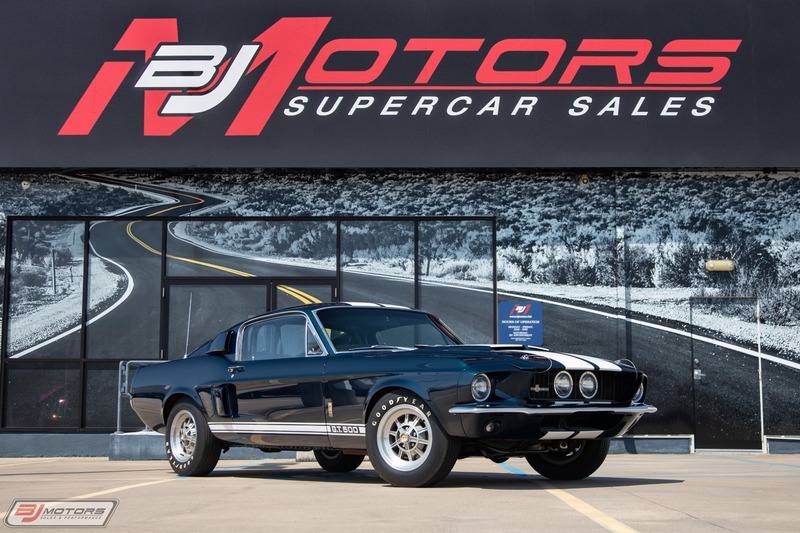 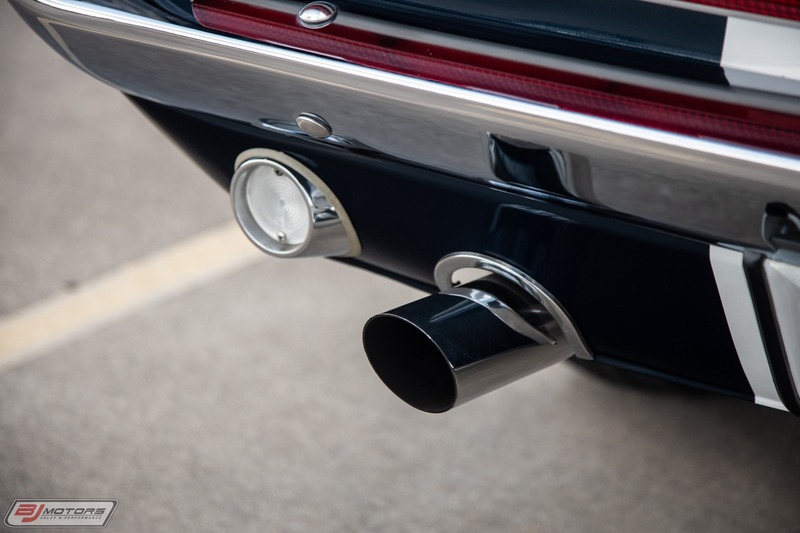 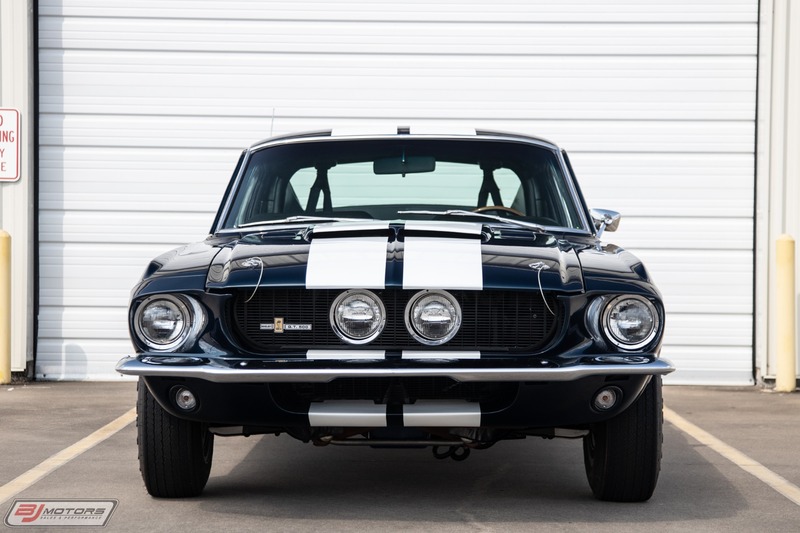 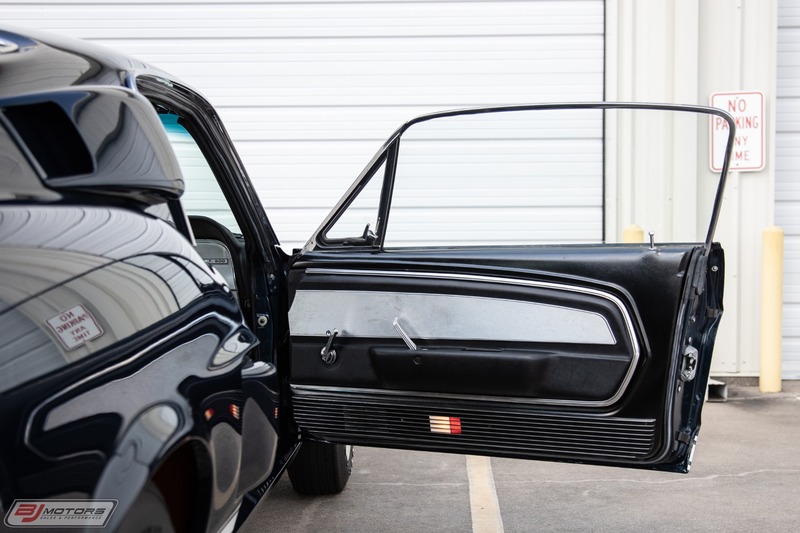 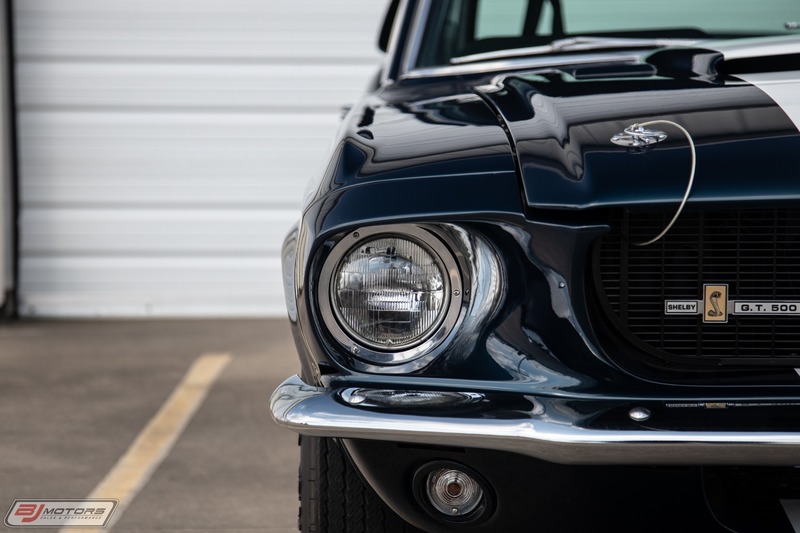 BJ Motors is super excited to offer this amazing and incredibly rare Fully Rotesserie Restored Matching Numbers, 1967 Ford Shelby GT500 2 Door Fast Back. 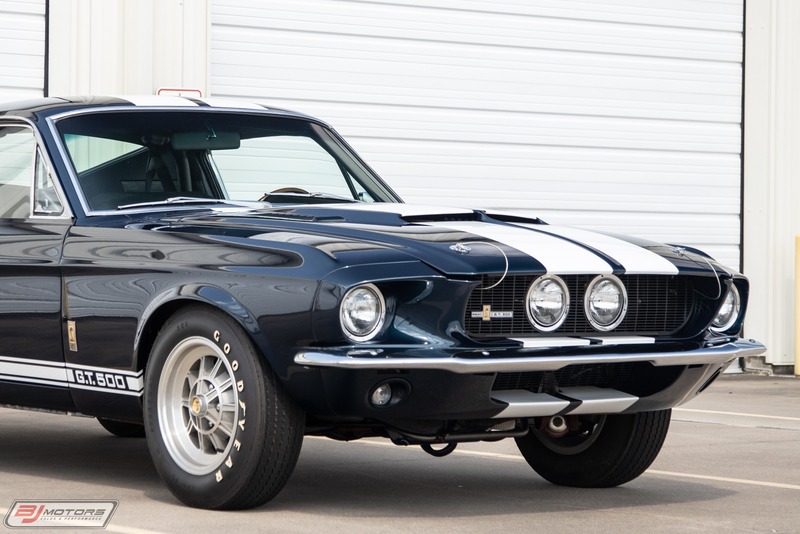 This Night Mist Blue GT500 is a two owner matching number 428/355hp 2 x 4 bbl, GT500. 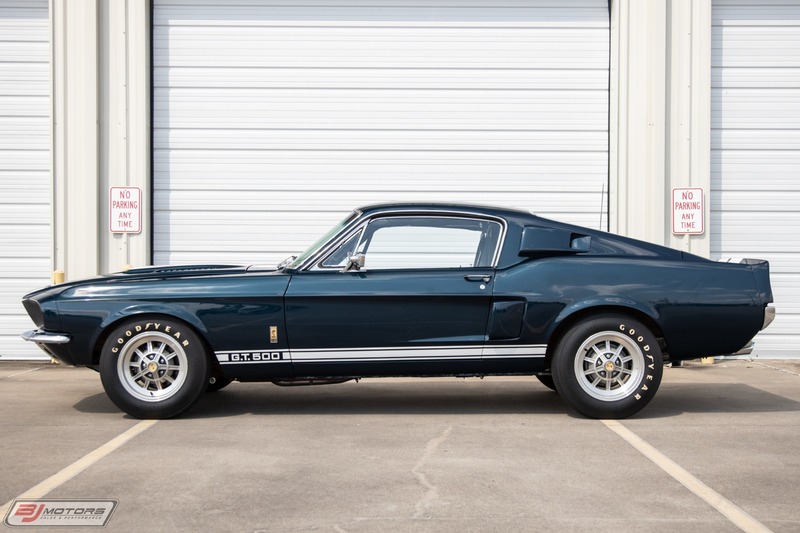 This 2 Owner GT500 has been stored in a collection for the past 20 years. 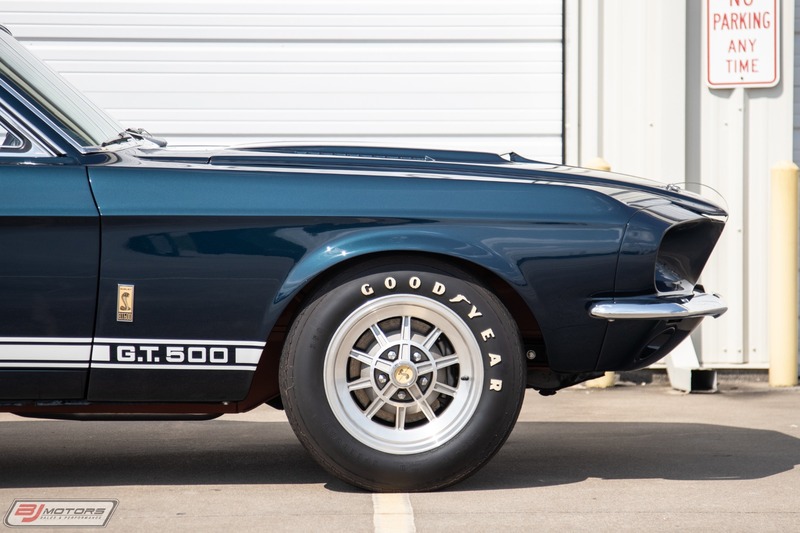 The car is out of Illinois, and is 1 of 510 Painted in this color and 1 of 420 with the trim package. 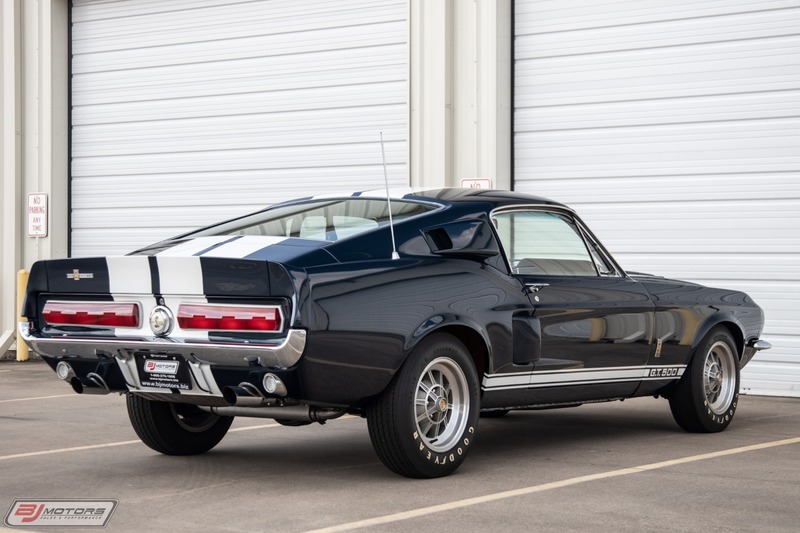 Only 2048 GT500 cars were produced.. 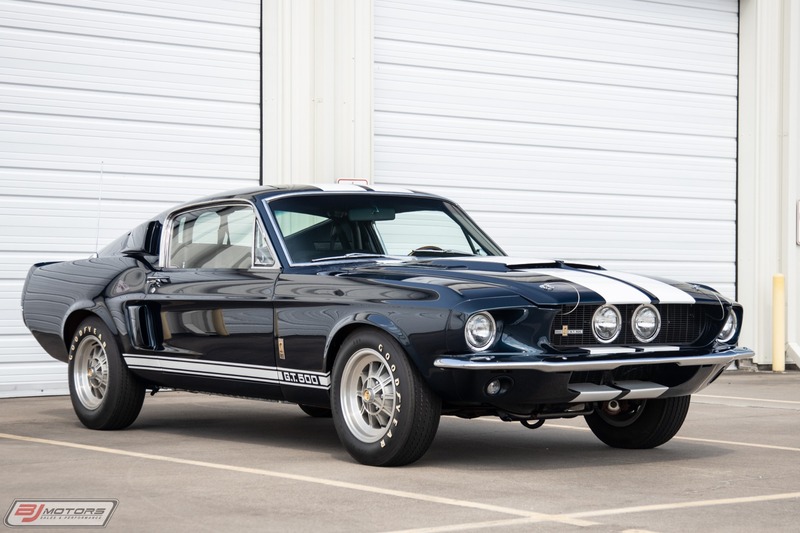 This car is a far superior car than any other GT500 on the market, casting numbers all match. 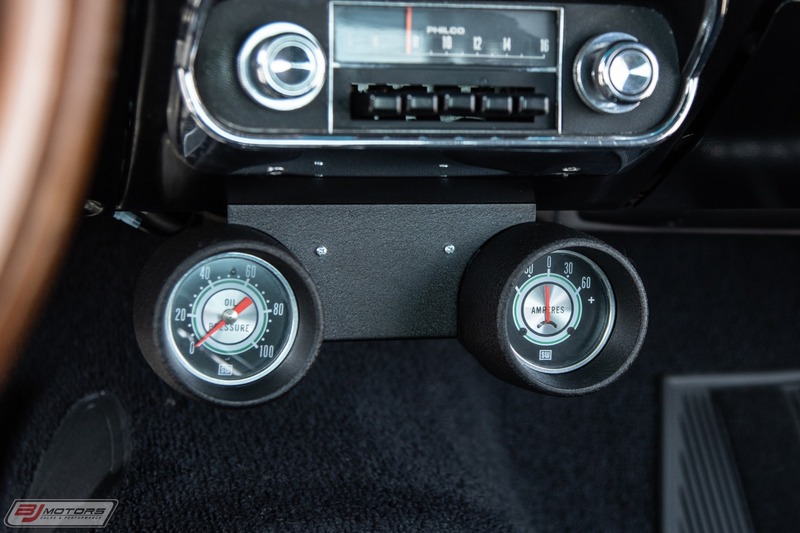 The color combination is one of the hottest color combinations on the market. 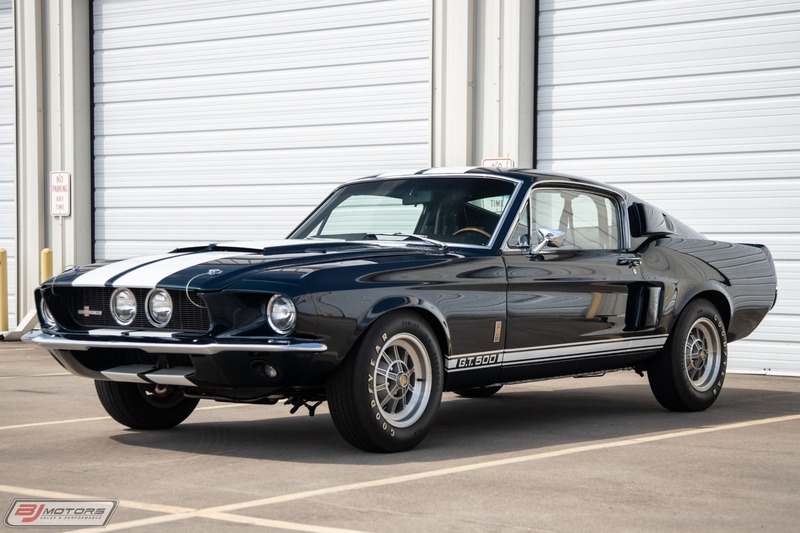 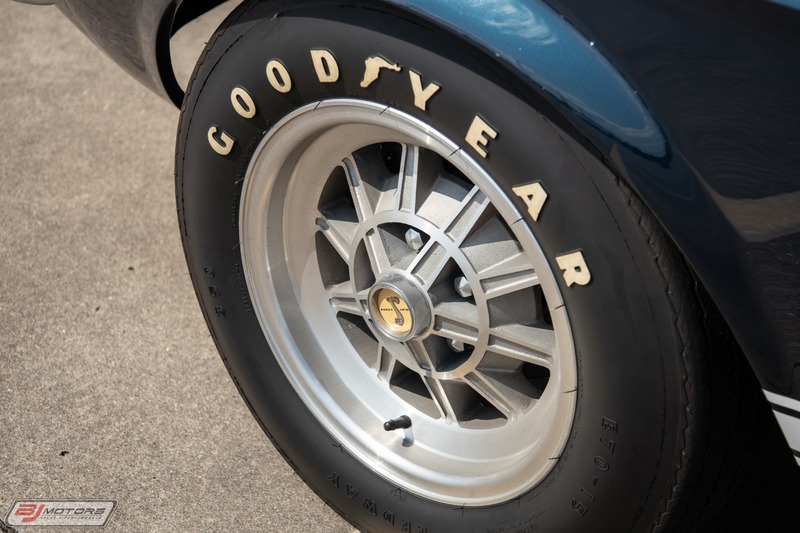 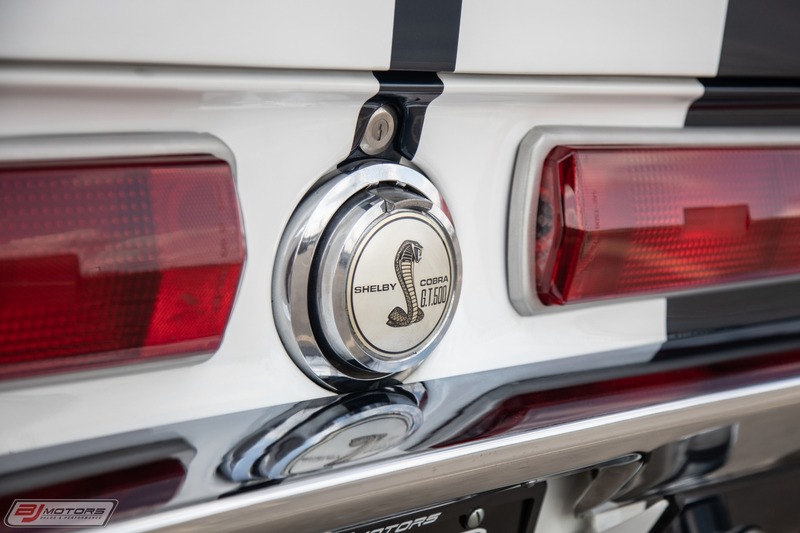 Ford and Carroll Shelby already had a hit on their hands with the track-oriented GT350, and in 1967 they introduced a big-block variant of their potent Mustang collaborationthe GT500. 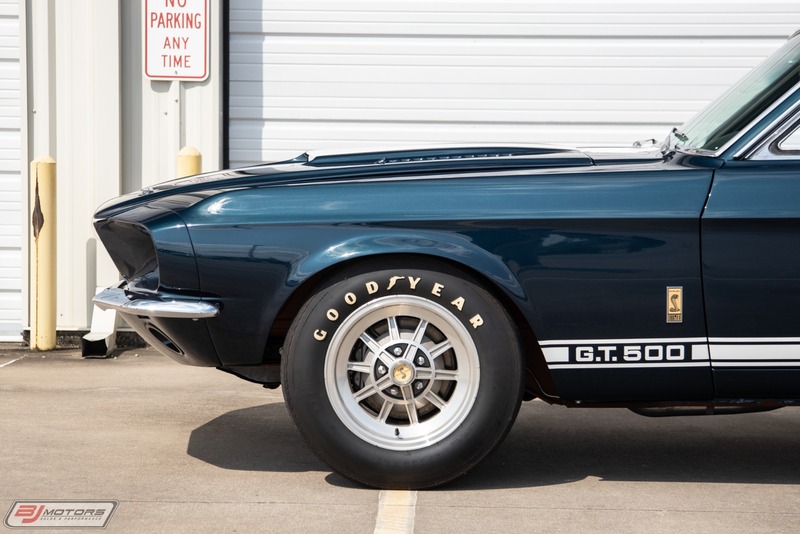 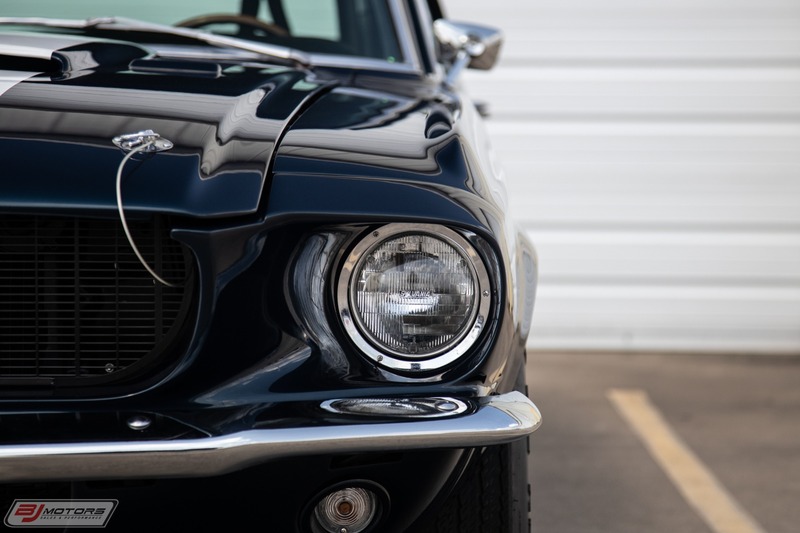 That same year, production of the specialty Mustangs moved from Shelby American's California facility to Ionia, Michigan, where Ford could exercise more control, and where the cars would be built alongside "regular" Mustangs. 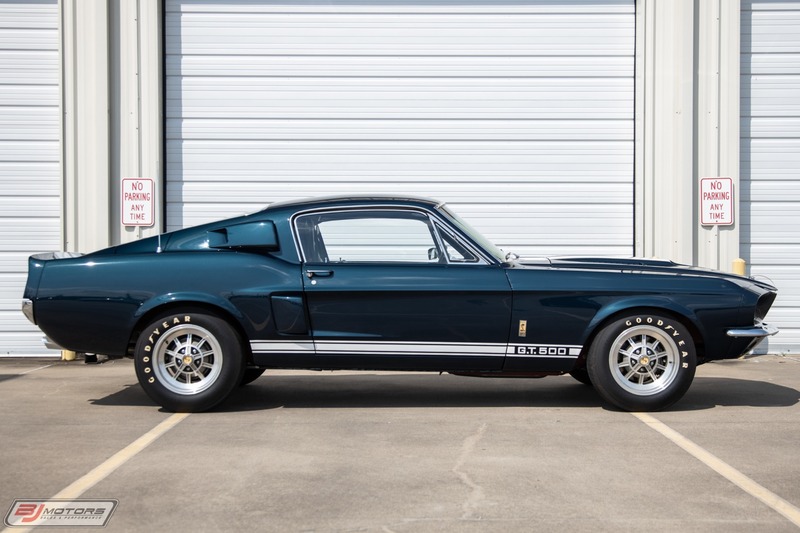 Shelby thus had little to do with the development and production of the GT500. 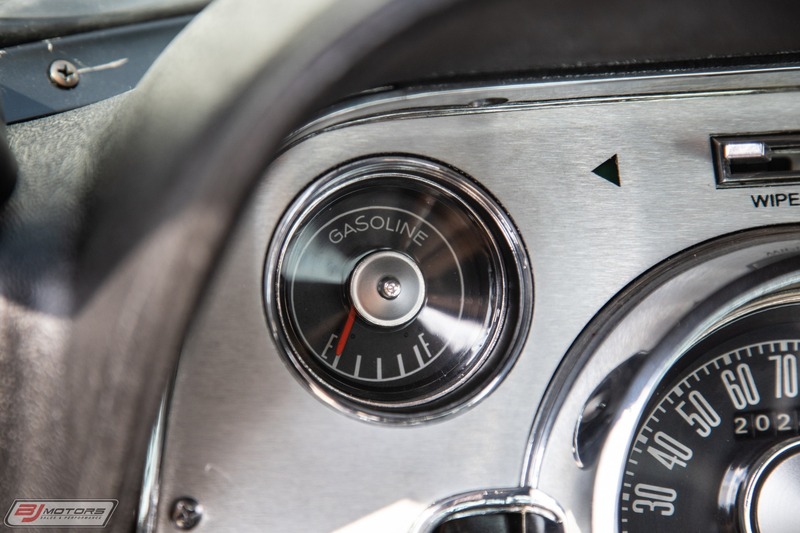 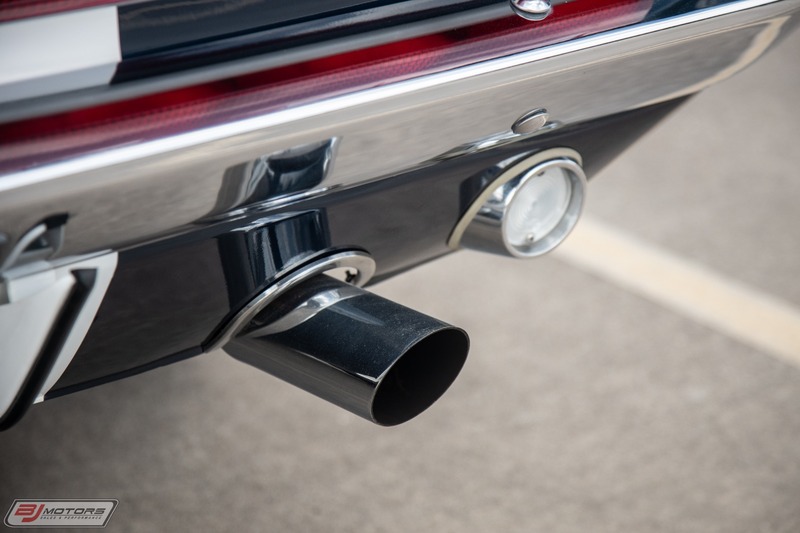 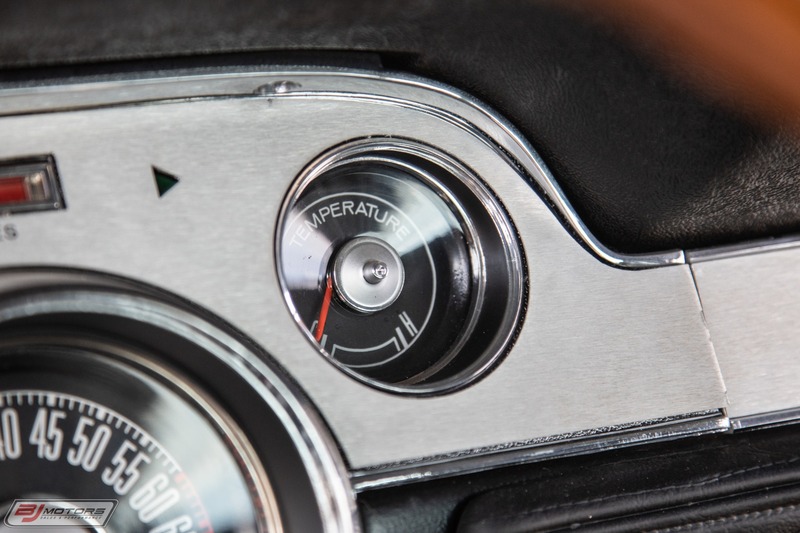 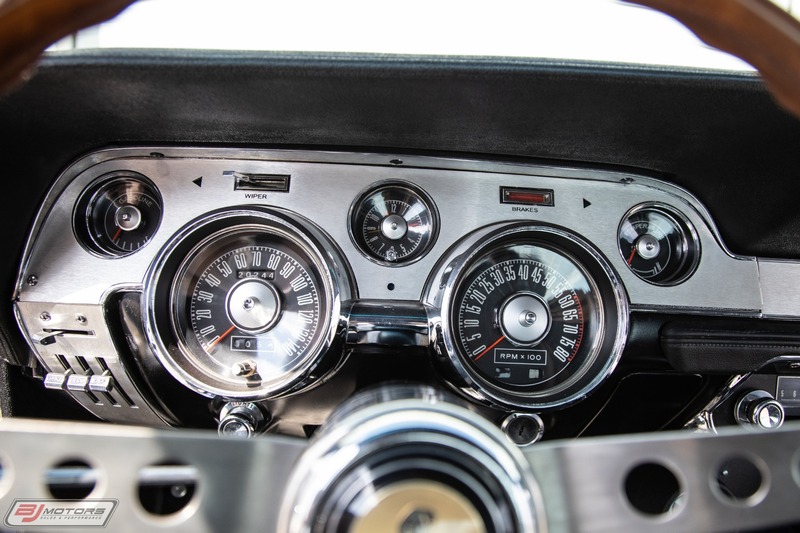 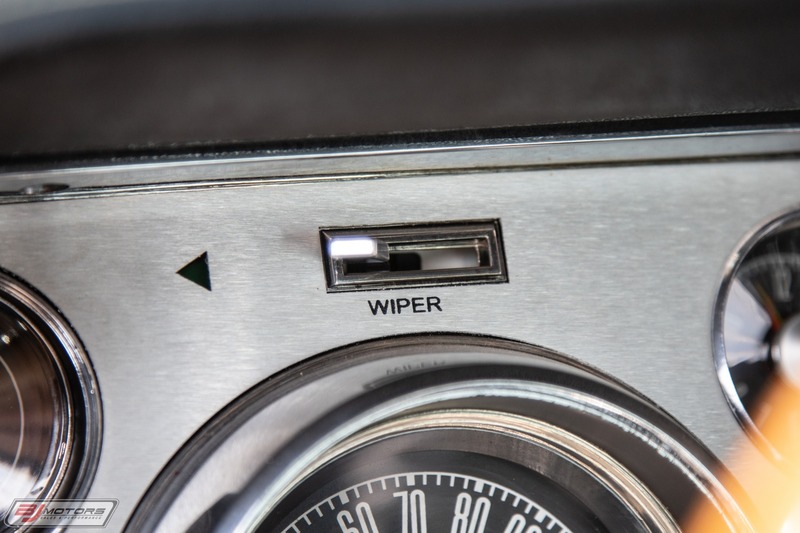 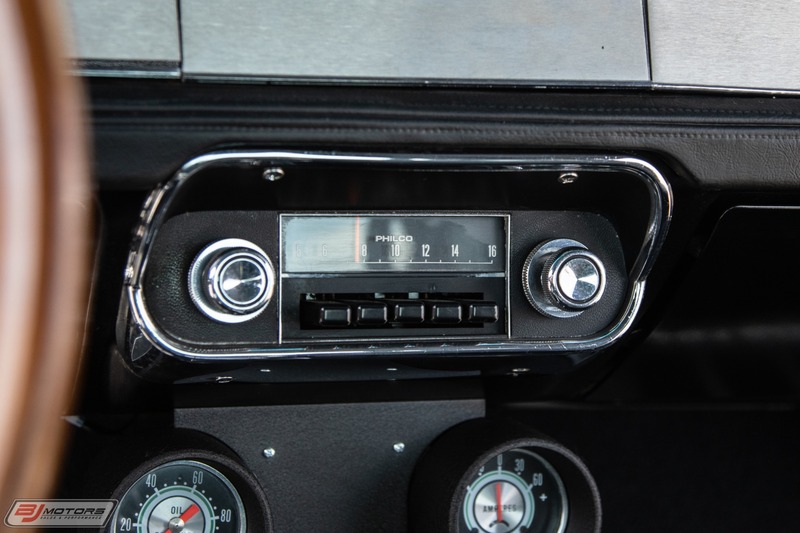 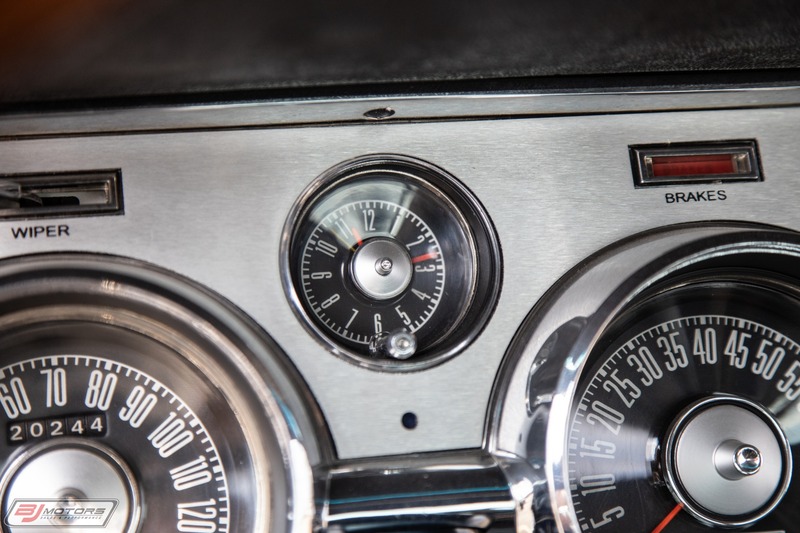 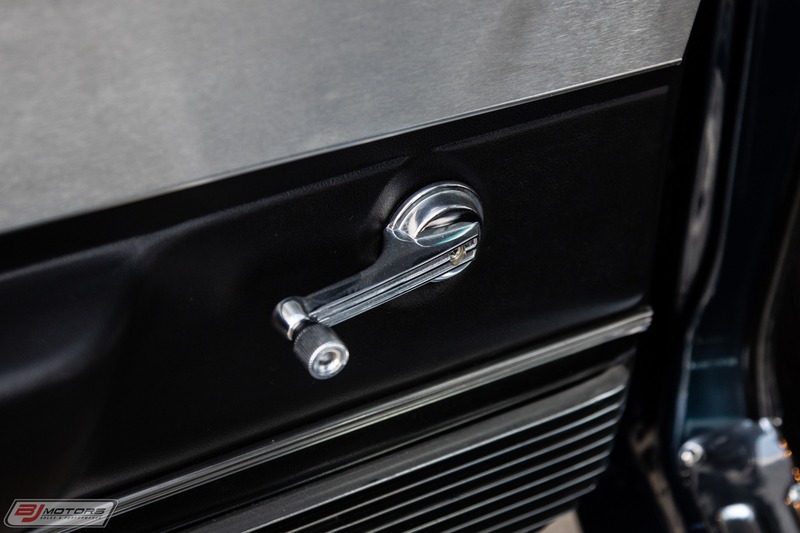 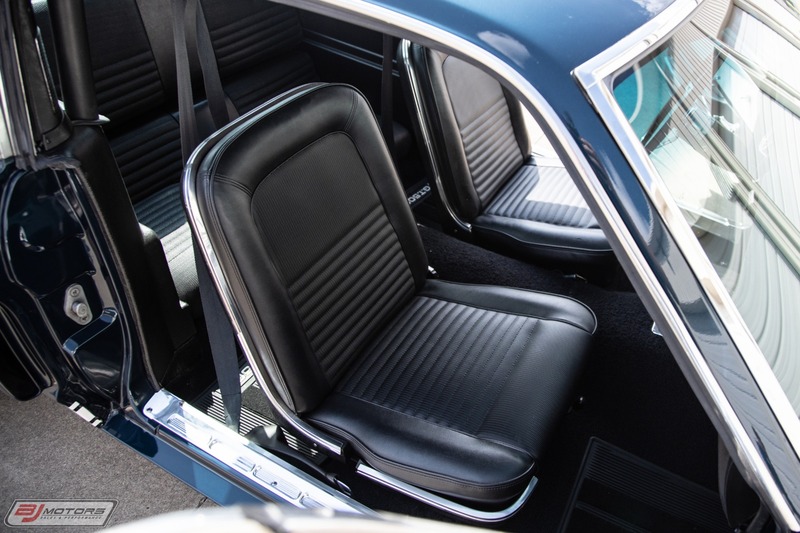 No matter, because despite comfort and convenience amenities Ford deemed necessary, the cars were serious performers. 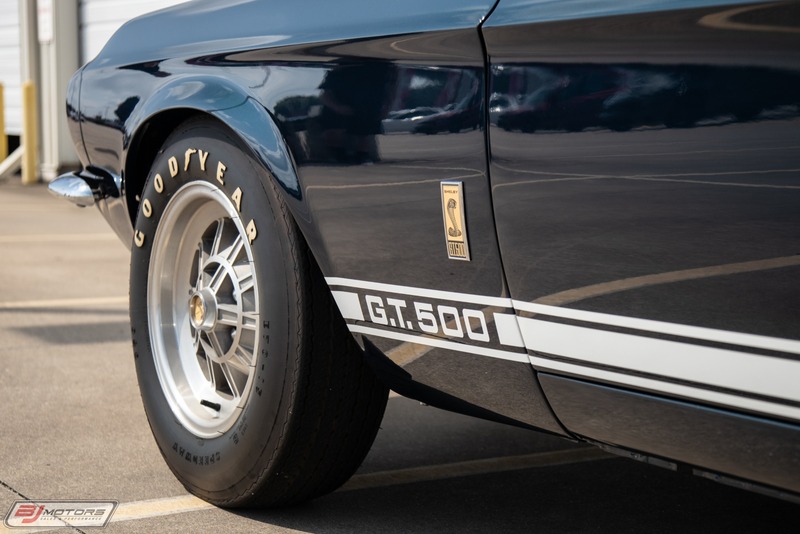 Powering the GT500 was a 428-cid "Police Interceptor" V-8. 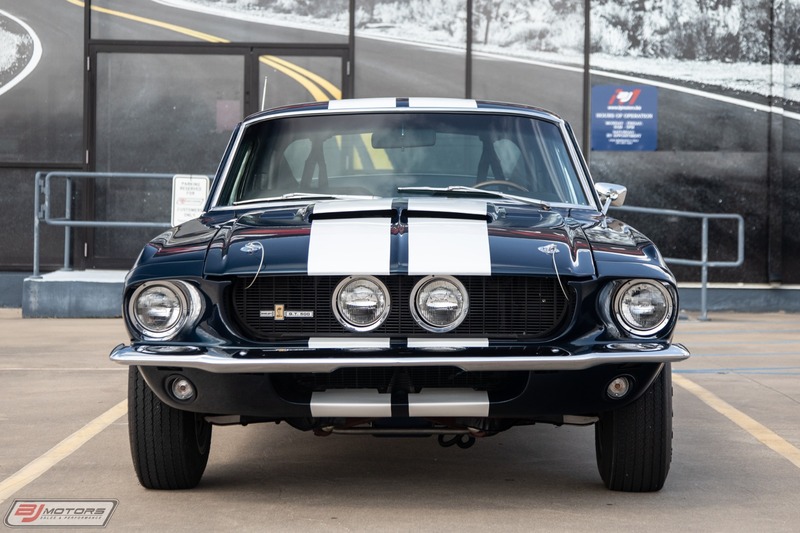 The engine appeared in other, larger Fords of the day, but with twin Holley four-barrel carburetors, it produced 360 hp. 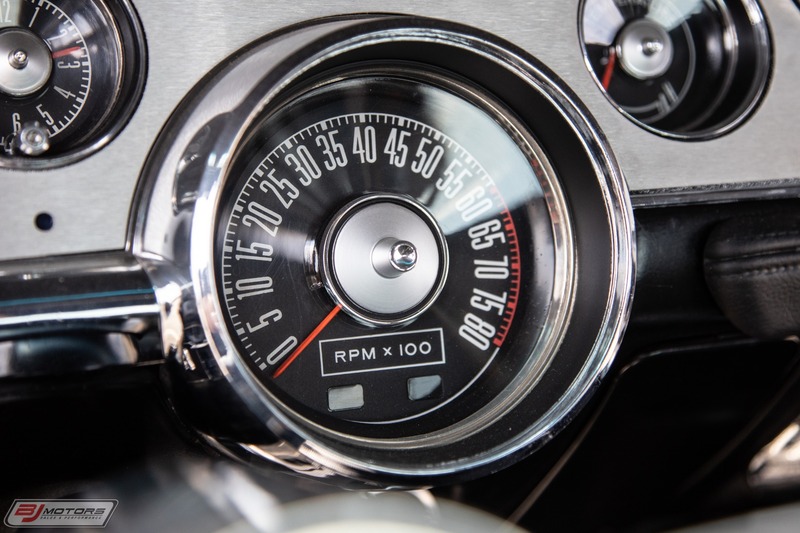 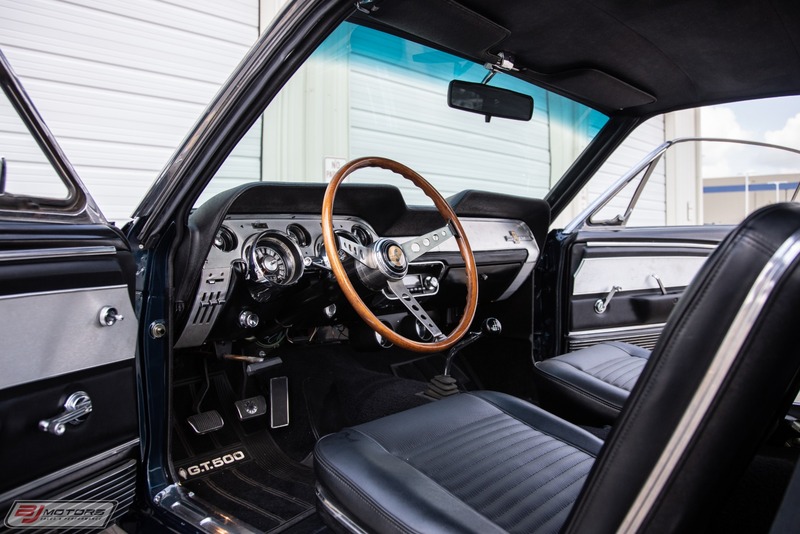 The fastback coupes were available with either four-speed manual or three-speed automatic transmissions. 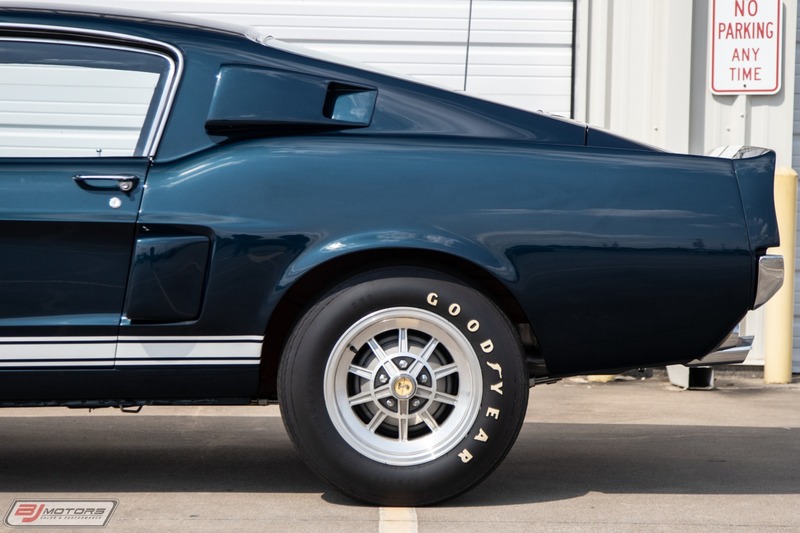 Outside, the GT500 featured a fiberglass nose and tail section, functional hood scoops, and four side air scoops. 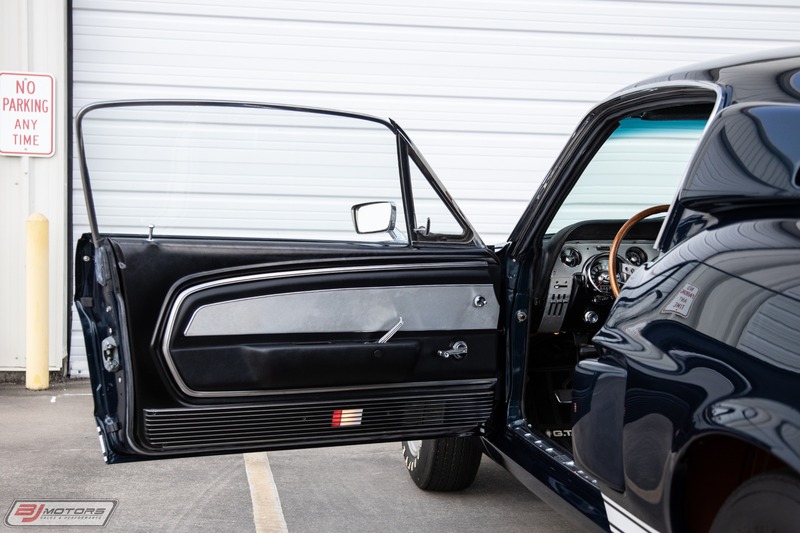 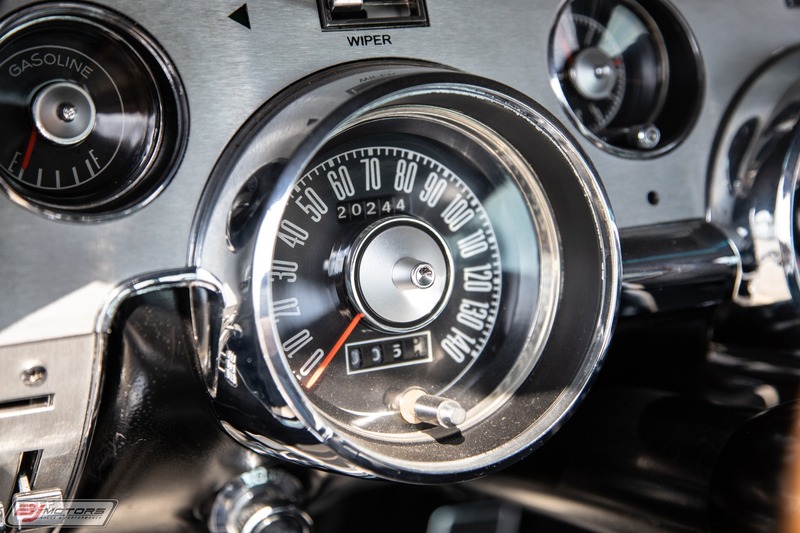 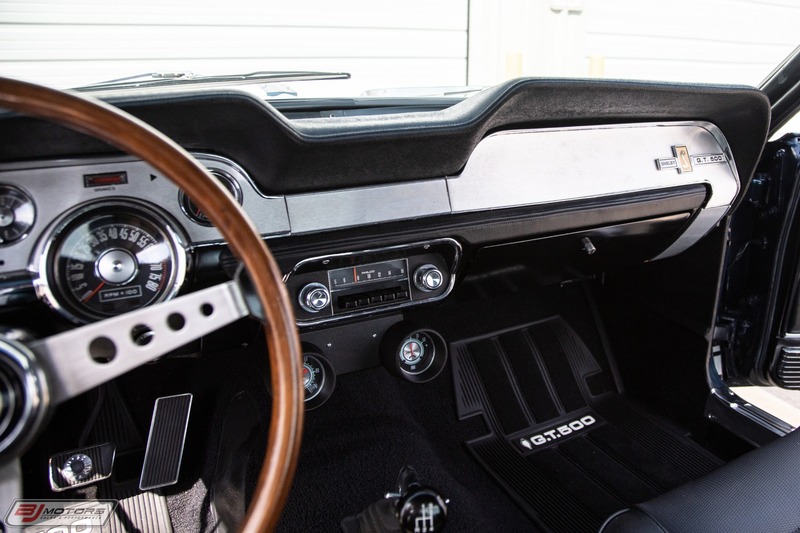 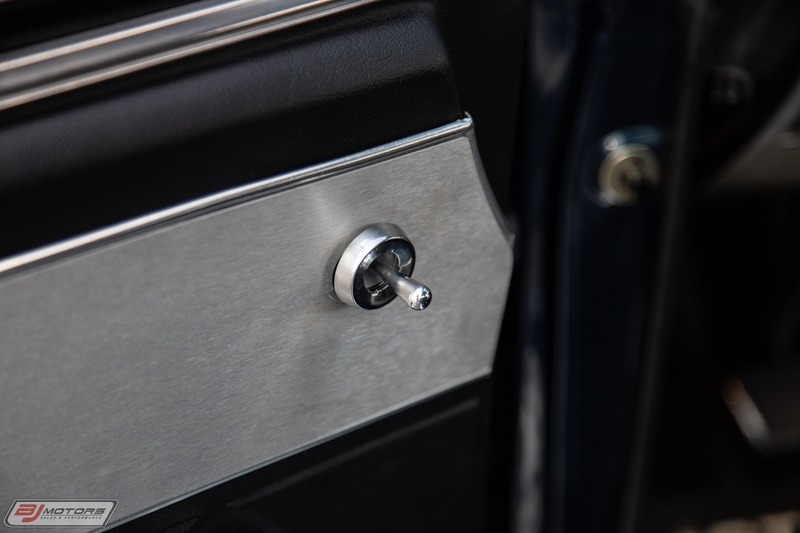 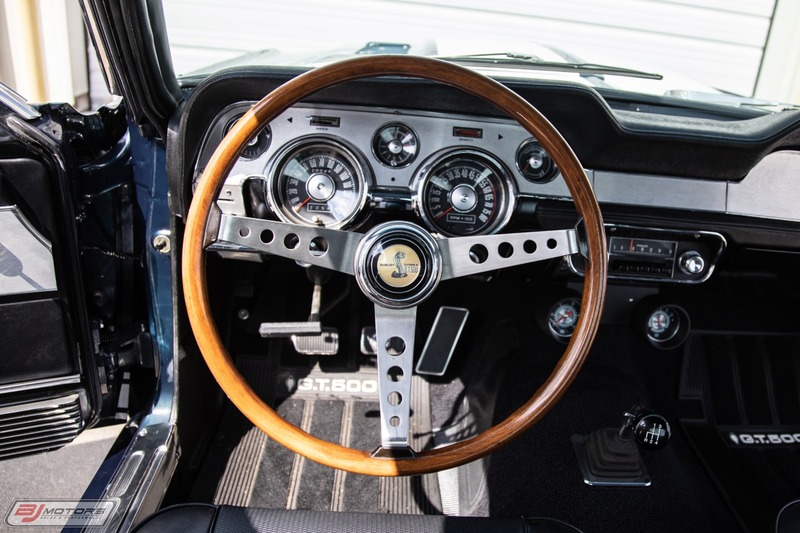 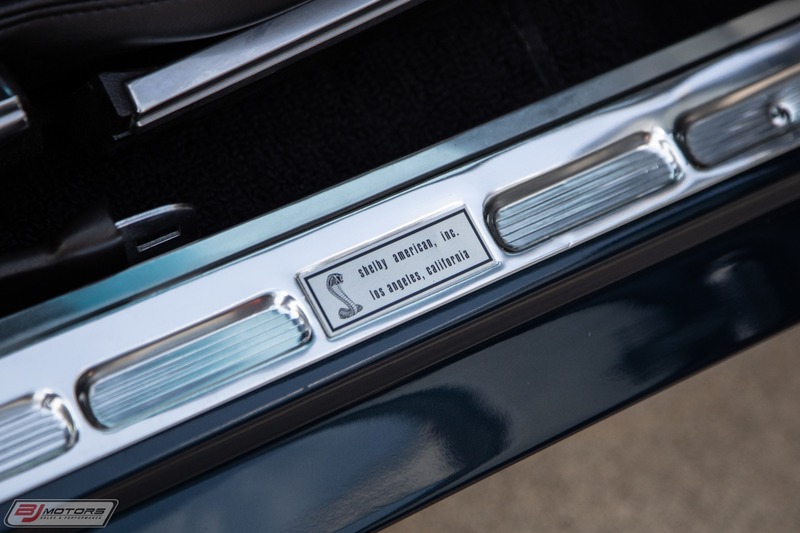 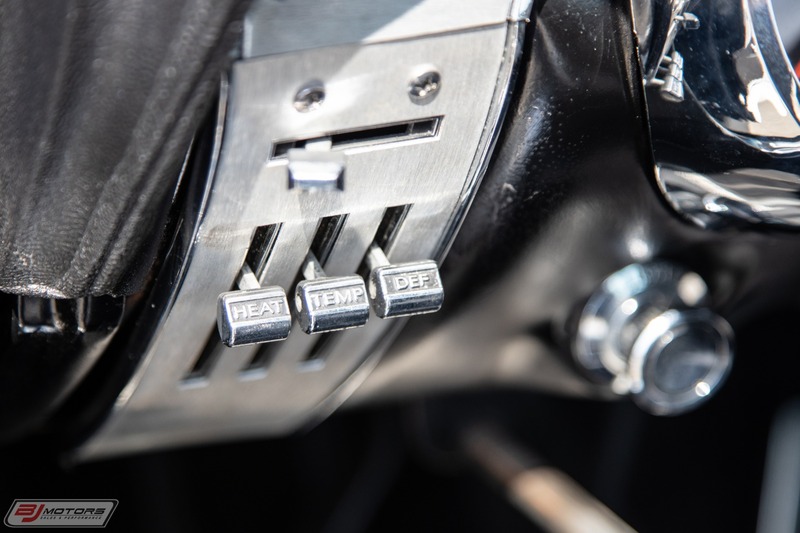 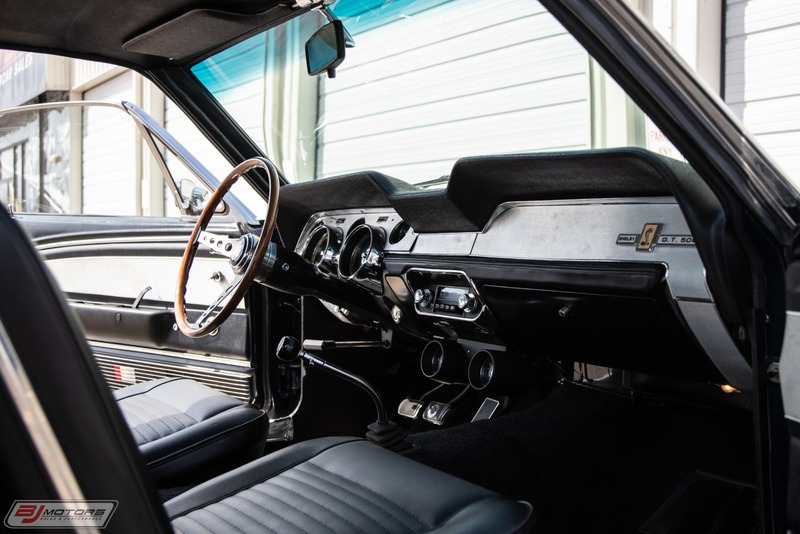 Inside, the GT500 featured trim borrowed from the Mustang GT, and included amenities like air conditioning, power steering, and a functional rear seat. 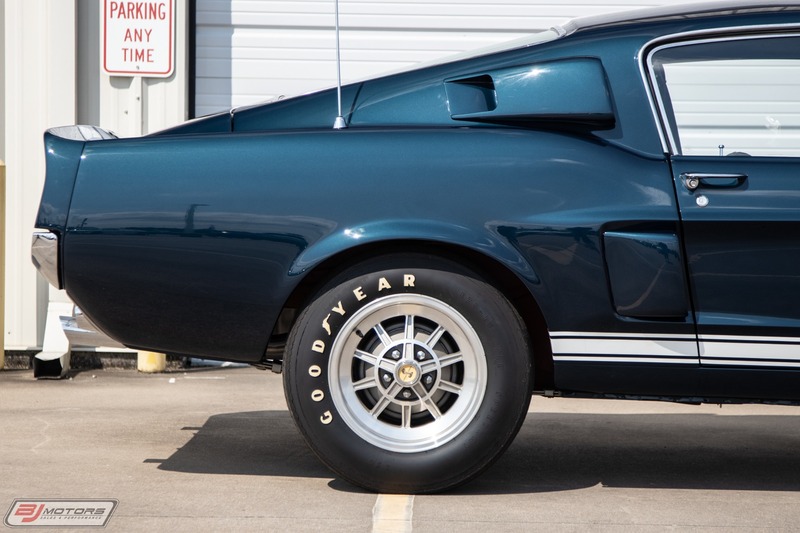 Buyers responded, and the GT500 far outsold its small-block GT350 sibling. 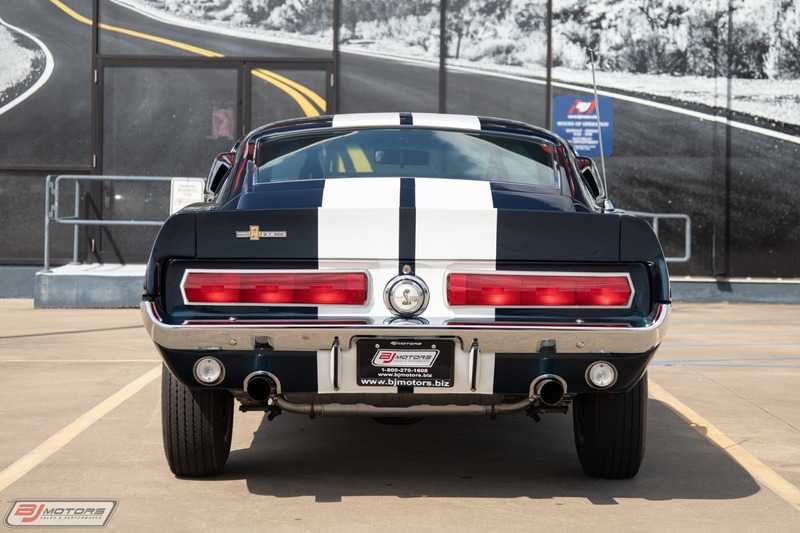 For 1968, Ford replaced the previous 428 with the Cobra Jet 428, which featured larger valve heads, an intake manifold borrowed from the race-ready 427, and ram air induction, all aimed at pushing horsepower toward 400. 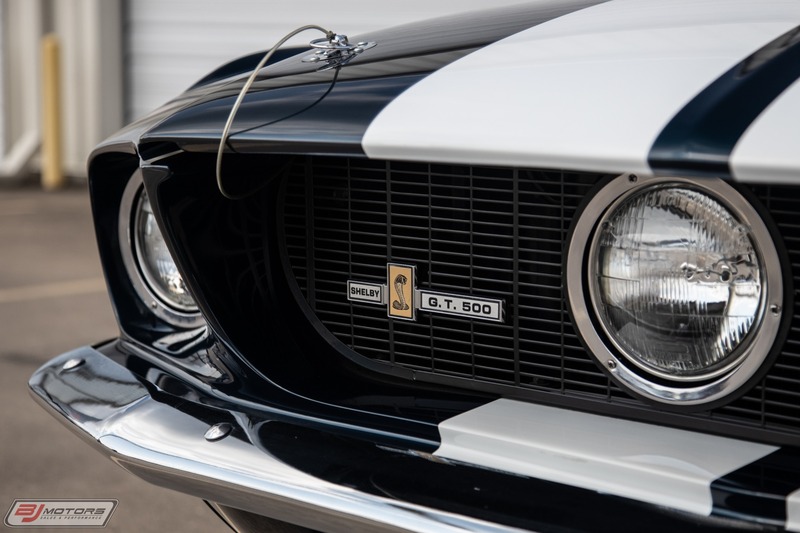 It powered the new GT500 KR (King of the Road), which was the fastest, most luxurious Mustang to date. 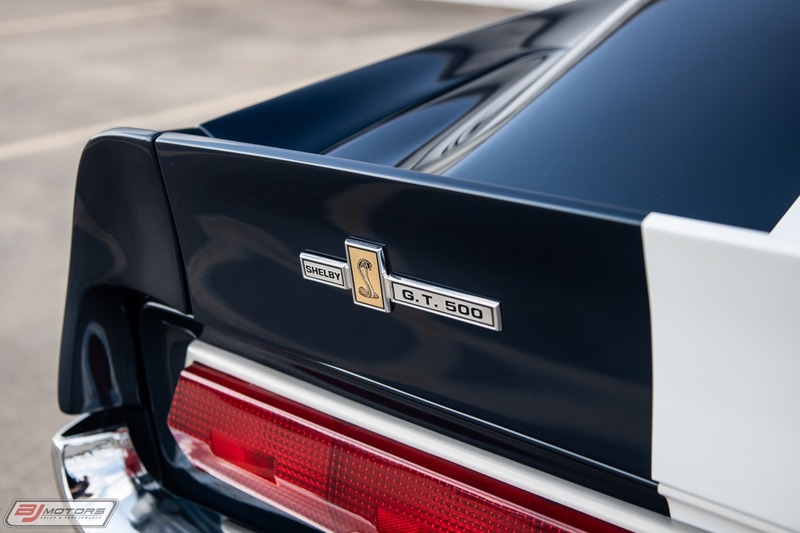 A convertible version joined the ranks, as did a conventional coupe. 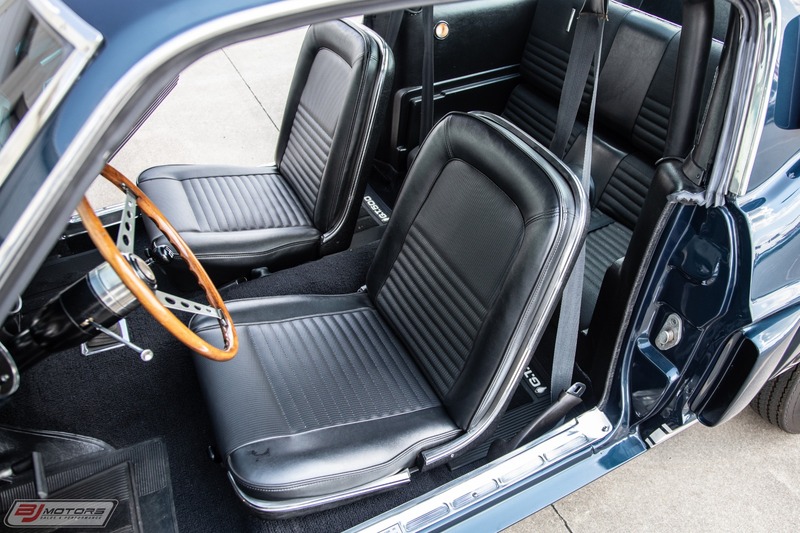 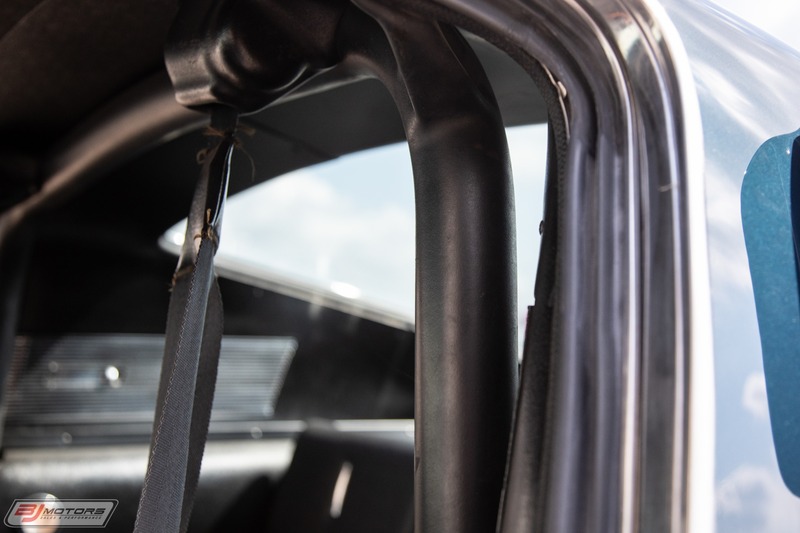 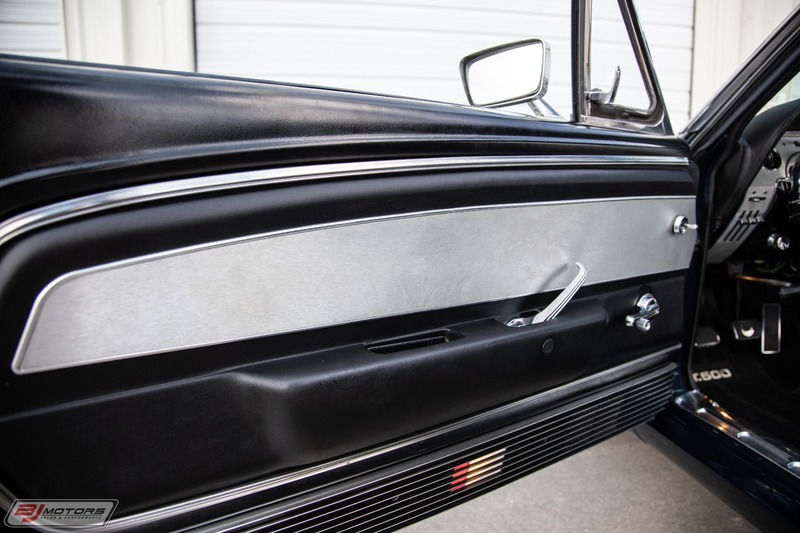 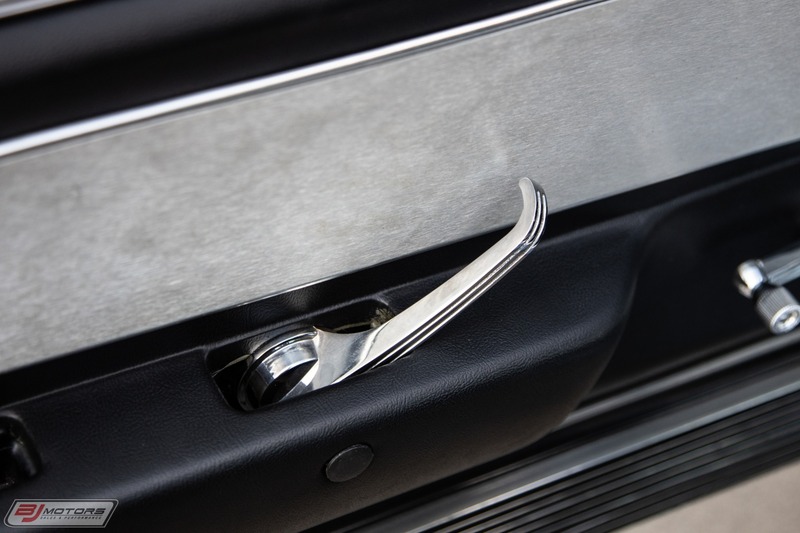 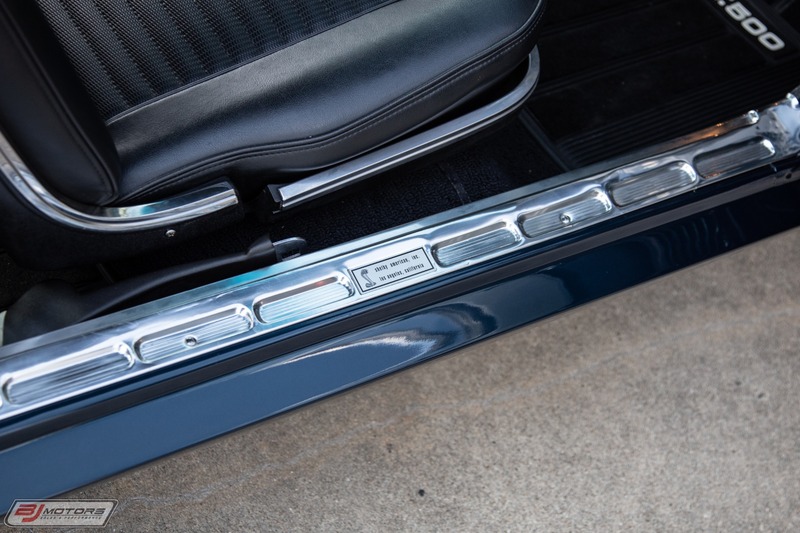 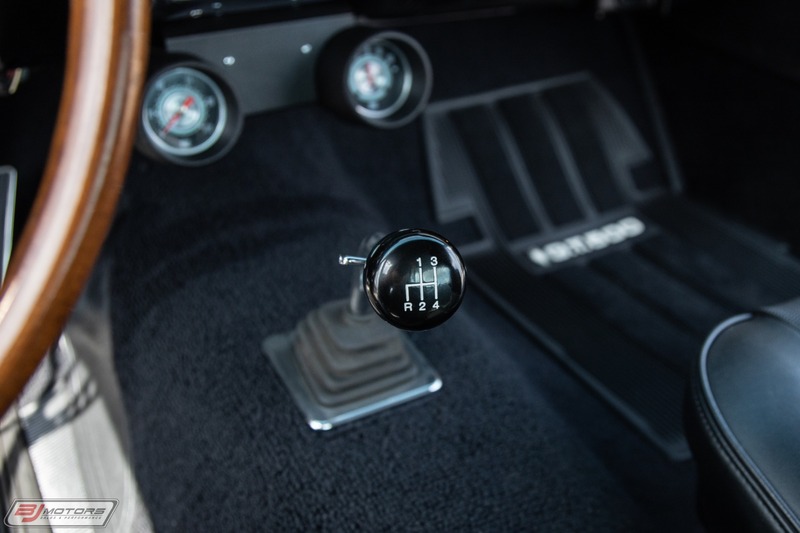 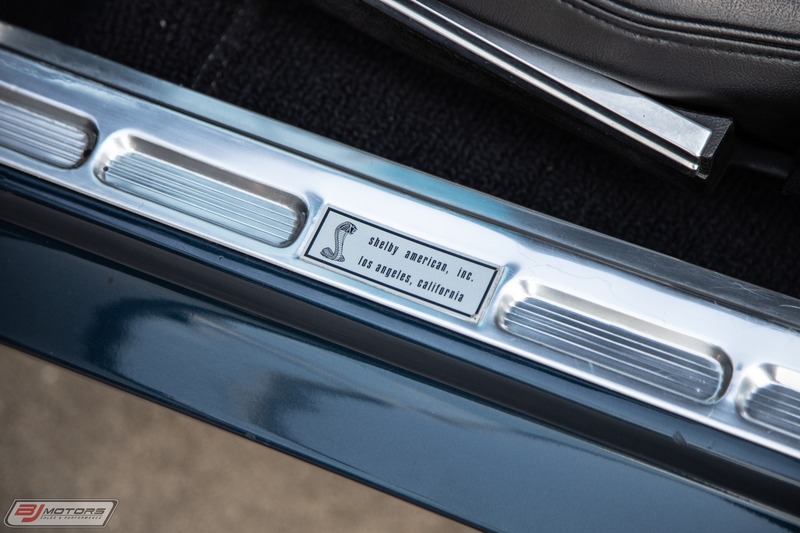 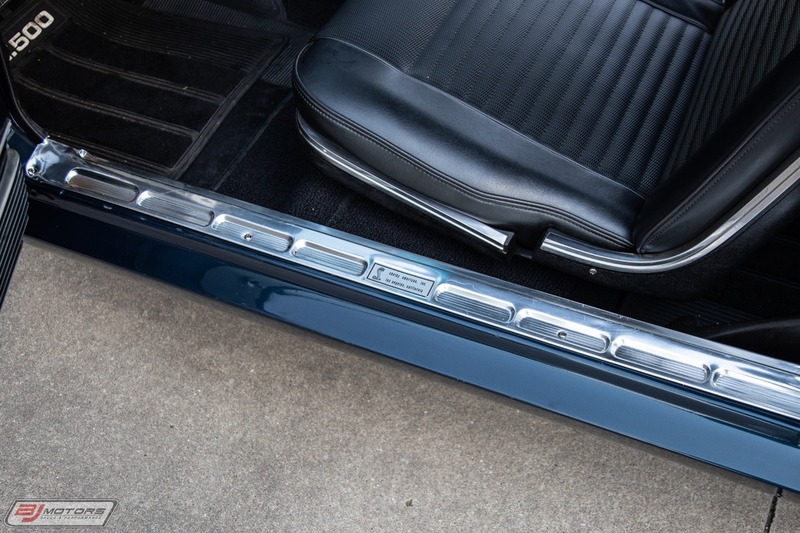 All cars featured a padded rollbar, as well as interior upgrades such as woodgrain trim and unique gauges. 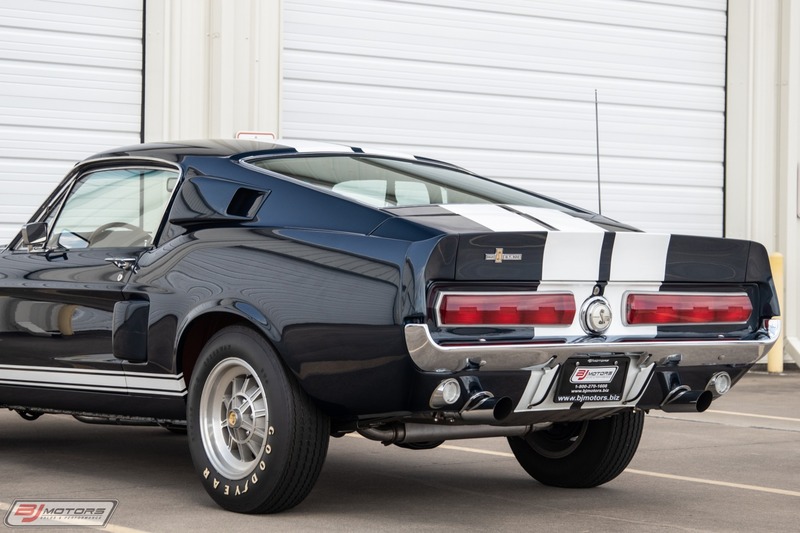 Ford restyled the Mustang for 1969, and the GT500 along with it. 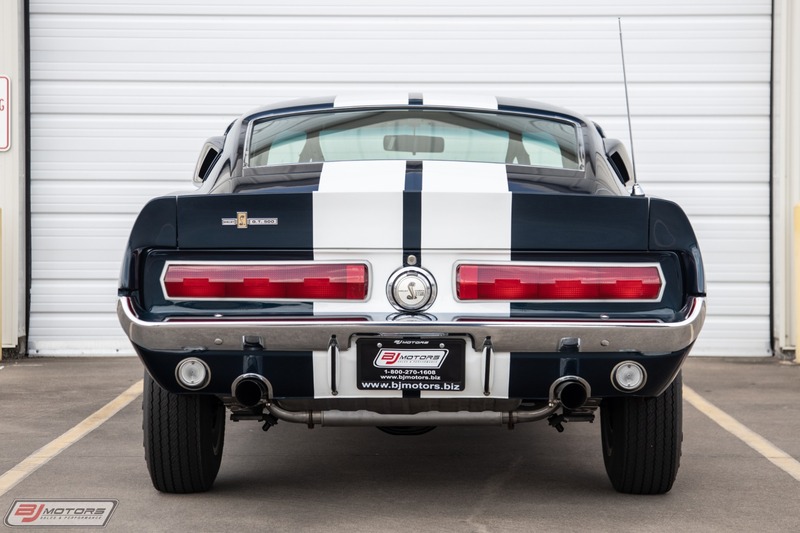 Fastbacks were now dubbed SportsRoof models, and hoods contained a trio of NACA ducts and two rear-racing scoops. 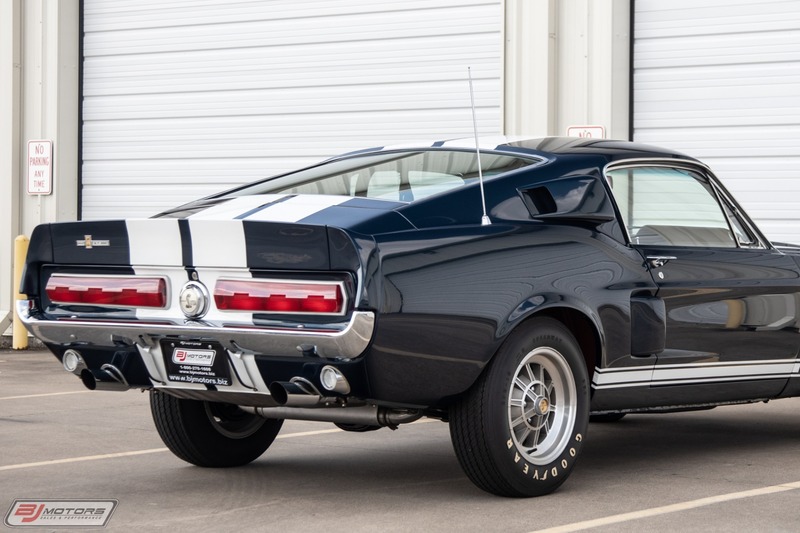 This was effectively the end of the GT500, thought several 1969 models went unsold and were carried over and sold as 1970 models, with updated VINs for the model year.